Allday Time Systems have a long history of supplying the leading time and attendance solutions to the Retail industry. Companies large and small have relied upon solutions provided by Allday Time Systems for many years. These solutions range from Attendance Software incorporating features such as flexible or fixed working with the ability to schedule rotating patterns and calculating complex attendance rules, to single traditional clocking in clocks or time recorders. Our systems also provide facilities such as live view of current staffing levels to enable manager and supervisors to operate effectively. 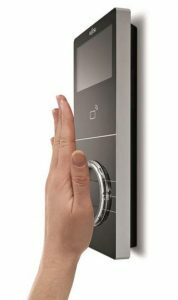 Other features include lateness and absence reporting, self service terminals and Biometric hand readers or fingerprint terminals. Allday Time Manager is a leading software solution developed by Allday Time Systems in the UK for time attendance, absence management, access control and workforce management. For more details or for a demonstration please call 01252 544457.